Strait Steel Inc - an AISC Certified Company - specializes in structural steel fabrication with projects varying from 500 tons to 3500 tons, and single projects up to 12,000 tons. As one of the industry leaders in the north east and mid-atlantic regions, Strait Steel takes pride in providing its customers with a quality service which has built our reputation as a premiere fabricator. Strait Steel has been providing a quality product for over 5 decades. 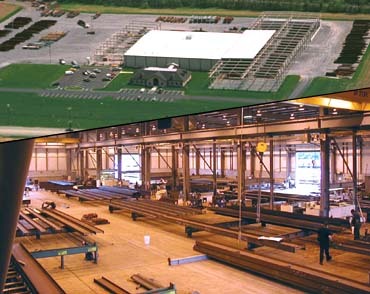 Our 145,000 sq/ft facility is located in Greencastle, Pa.